Solid airdried maple body and spruce top tonewoods with enhanced arching for more powerful resonance and geniune inlaid purflings. Ebony fingerboard, pegs, Guarneri style chin rest and high quality alloy tail with 4 built-in smooth fine tuners. Antique fine handcraft, solid and stable workmanship, carefully varnished and polished with smooth surface for an ideal touch of art. 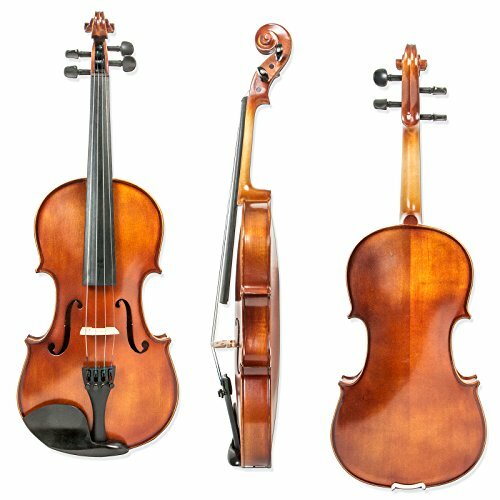 Guumuh X59 violin is a remarkable instrument that will enable the serious pupil to willingly develop one-self onto the next level. Outfit includes a Brazilwood bow, lightweight case, two Austrian rosins.